Illicit Dialect is collective that consist of Akademex and Equipt from West Los Angeles, California; Illego, Kawz57, Diseize84 from Inglewood, California. Members of the camp include Maskara de Jade (Tha Jade Mask) and Smoov Brotha. The group was founded by high school friends Akademex and Illego who were later introduced to Diseize84 by his brother Kawz57. He played Akademex a beat produced by Diseize84 that went on to becoming the group�s first record "Ancestral Technique". 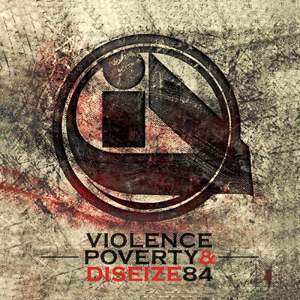 The tribe continued to record new tracks through the summer of 2013 and titled their first project "Violence, Poverty & Diseize84" which defines the crews style and where they're coming from. The tribes style is boom bap, street hop, versatile in both spanish and english, conscious of current events, spittin' the struggles of the urban community, tragedies as well as study of their culture and Mexican heritage. Every member has a unique style from punchlines to spoken word to layback smooth hip-hop. Influenced by such groups and emcees like Wu-tang Clan, Killarmy, Mobb Deep, Jedi Mind Tricks, The Psycho Realm, Sunz of Man, CNN, Gangstarr, Big Pun, Planet Asia, Mexican emcees T-killa, Boca Floja, Kinto Sol, Control Machete, and Delinquent Habits. Diseize has that old feel with Spanish oldie samples in his beats and is influenced by Stoupe Enemy of Mankind, RZA, Alchemist, DJ Premier, and Boondoc aka Boonie Mayfield. Many thanks to Krazy Race and The Realizm Camp for supporting the project and check the Dialect coming your way. One.